For generations, the Benedicts have been one of Seattle’s most distinguished families, residing in the splendid Queen Anne mansion known as Benedict Hall amid a host of loyal servants. But the dawn of the 1920s and the aftermath of the Great War have brought dramatic social conflict. Never has this been more apparent than when daughter Margot’s thoroughly modern young cousin, Allison, comes to stay. But Margot is also shocking many of Seattle’s genteel citizens, and her engineer beau, by advocating birth control in her medical practice. For amid a tangle of blackmail, manipulation, and old enmities, the Benedicts stand to lose more than money–they may forfeit the very position and reputation that is their only tether to a rapidly changing world. "Entertaining, with a well-drawn backdrop." "Recommended for fans of Downton Abbey, this story is full of drama and is plenty enjoyable, especially because of the time period...great characters with warm chemistry the reader will want to see together." "New characters, the rebellious young cousin Allison and her appallingly coldhearted parents, add intriguing plot twists to the story line. So does the improbable reappearance of the villain of the first book, whose vendetta against Margot endangers the Benedicts and everyone in their orbit. Northwest readers will especially enjoy the way Campbell enriches the narrative with details: references to Seattle-area locations and institutions, current events and medical developments." 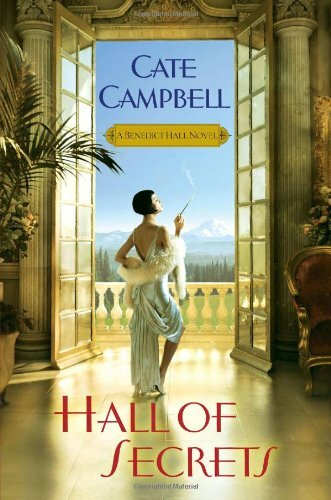 "Campbell puts a decidedly American twist on the “Downton Abbey”-inspired oeuvre, setting her second Benedict Hall family drama in Seattle during the Jazz Age. The tempestuous era is as much a character as the people, since Campbell emphasizes the social issues and upheaval through the views of the wealthy and their servants. The quick pace and interesting details only add to the allure. Readers will be eager for the next installment."